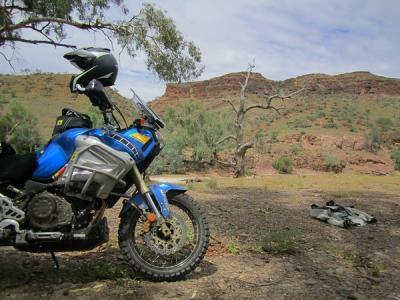 It seems like the last few months have had a theme here at the AltRider office: Yamaha blue. 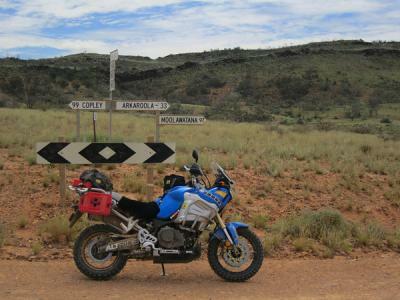 As we developed and prototyped our hard parts for the Super Tenere XT1200Z, it seemed like we were eating and breathing and thinking of nothing but that bike. 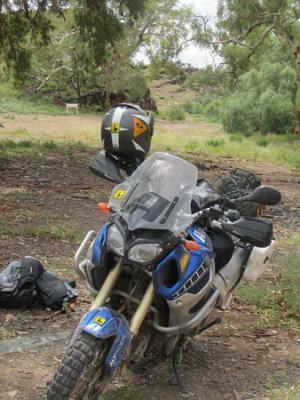 When we sent it back to our Australian distributor, Steve at AdventureMoto, it was like losing a member of our crew. 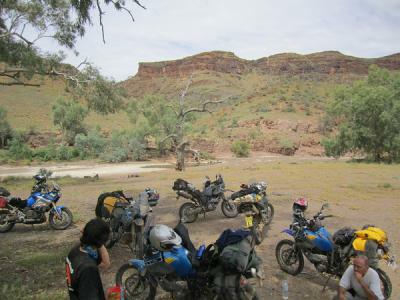 So it was good to hear the Tenere was doing well in the Outback. 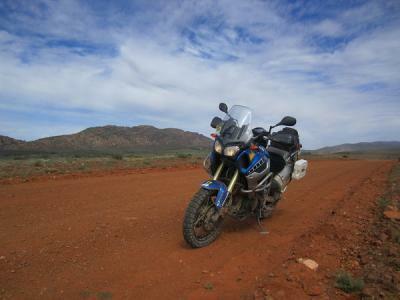 In fact, after Steve covered it in all our new production parts, he took it on the first Tenere Tragics Ride. Some riders who didn’t get AltRider parts were not that lucky. One participant, Graeme, pulled up alongside some group members, only to have them point out the pool of oil forming under his sump. Despite having a skid plate installed, he’d punched a hole and was in trouble. 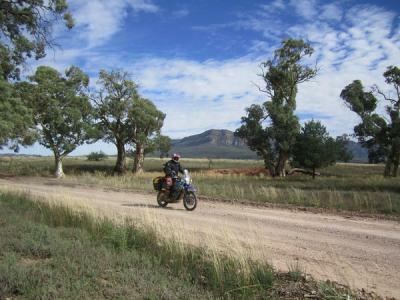 Out in the middle of nowhere, Graeme lucked out: someone was carrying metal putty and was able to patch up his bike (you can read more about it on the Tenere Tragics blog). Two other gents had the same experience, confirming to us that our mounting system for the AltRider skid plate – using complex and stout bracketry– was a wise decision. Sometimes you wonder if you’re over-engineering something, but in this case I think we made the right choice. We’re pretty happy that these skid plates are now available to start protecting Super Teneres worldwide. 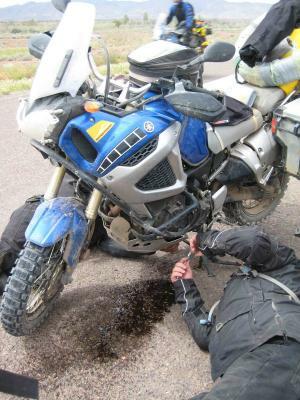 Make sure the next time you go off the pavement, you’ve got strong sump protection… and a stick of steel epoxy.